It's crunch week for me! 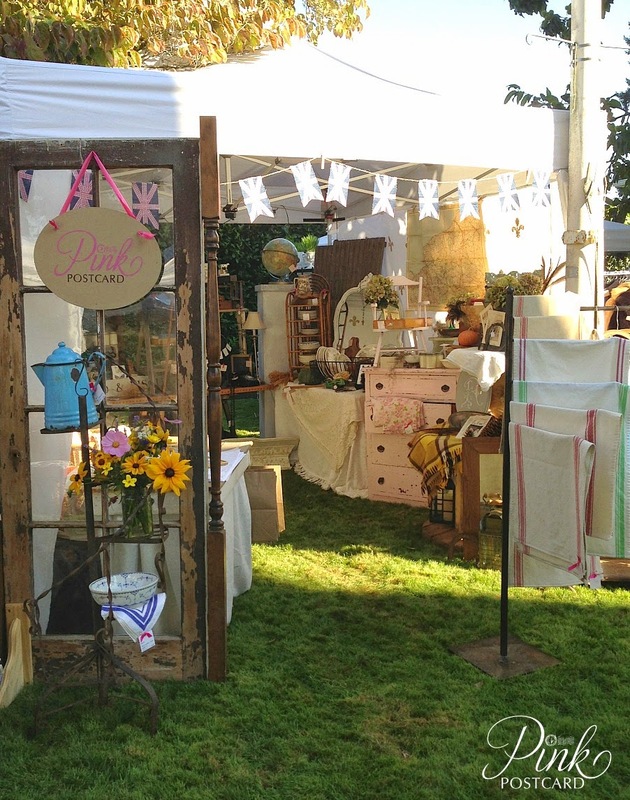 I have just a few days before we load up and take all kinds of vintage goodies to the Molly Mo's Antique Faire. I will be setting up all day Friday, and then up at the crack of dawn on Saturday morning, excited to meet many of you! 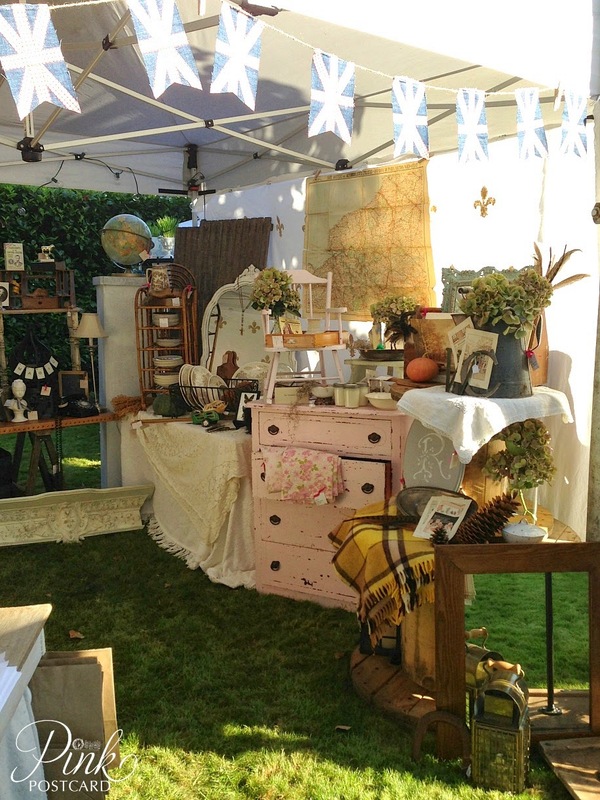 Today I thought I'd share a few things I've learned about participating in vintage markets. I haven't been doing them for a super long time, but I feel like since I have a few under my belt, I've learned some things I can pass along to you. There are a ton of details that go into a vintage market, and the better organized you are, the less frazzled you will be. Hopefully you've been to a few shows and you've had that itch to give it a try yourself. Maybe you have one in mind that you would just love to be a part of. Look at the venue and what is selling. Is it a good match for your product? Is it a well known and well advertised venue? You want to stand out and be unique, but if you sell mid century modern, and are wanting to do a farmhouse themed show, it probably won't be successful for you. Find a spot where you can find the kind of customers who want what you have. Cost can be a huge factor when you are starting out, but you also have to remember that a lot of times you get what you pay for. Don't do a crafty bazaar that costs $10 for the day. As a vintage dealer, it's not the right venue even if you are just starting out. If you are tight on budget, consider having a friend who does similar product share a booth with you. You can split your costs and not worry too much about filling up a lot of space when you're just beginning. If you are doing an outdoor market, you will probably need or want a tent. Some shows will have them available to rent, some will require you to bring your own. Before you go out and buy one, or dig through your camping gear to find a pop up shade, you may want to check with the show host to see if there are any color requirements. The majority of the shows I participate in require white or neutral colored tents. Personally, I really prefer shows that take the time to make that a priority, because I know that it will look more high end. If you're going to start doing vintage markets on a regular basis, I would recommend purchasing one. If you do a few shows a year, you will quickly recover your cost rather than shelling out money each time to rent. Usually in 2-3 shows, you will have recovered your tent cost vs. your rental fee. Be aware of the time of year you will be doing your market. Will you be outside? Is it good weather typically that time of year? 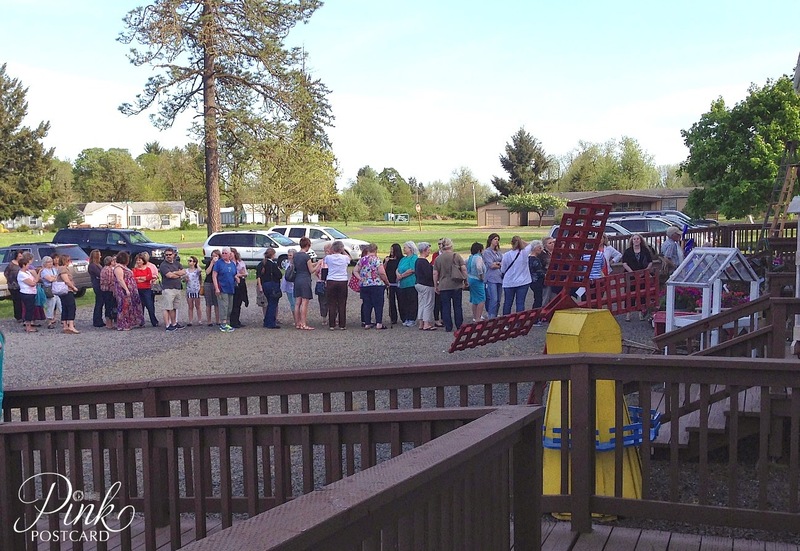 Is it an indoor venue, but you will have to be outside quite a bit while you unload? When I know I have an outdoor venue coming up, I will often start looking ahead at possible weather factors by looking up the Farmer's Almanac Long Range weather forecast. That way I can prepare ahead of time whether or not I want to do it, and what items I need to bring to be prepared if the weather is questionable. Make sure you have walls or tarps to cover your space if the weather does turn. Having weights to hold down the legs of your tent is an absolute must. You would be amazed how just a little gust of wind can lift and knock over your tent. Maybe you aren't required to have a tent for your market. I've seen some super creative ideas where a tent wasn't even used! 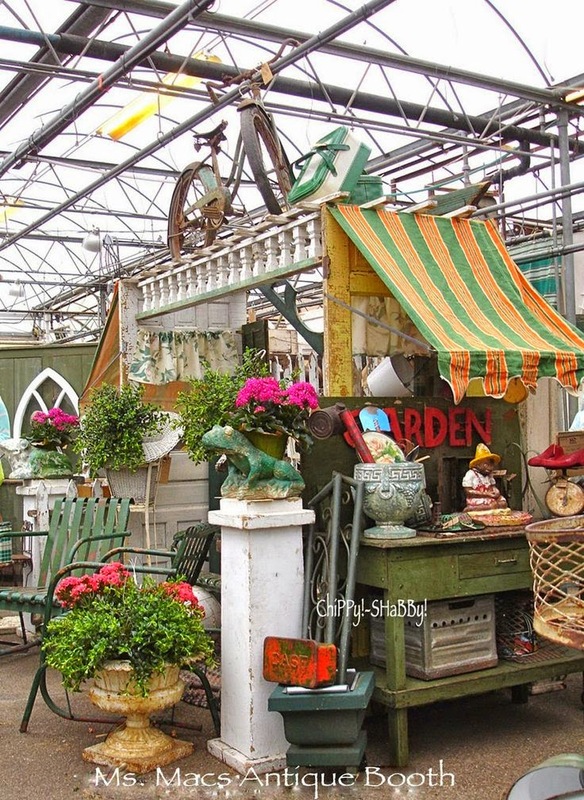 Large outdoor umbrellas, ladders, or branch structures are all creative ways to make an impact on your space. I really do my best to make sure customers can come in and easily move around my space. Don't crowd the entrance / exit with too many pieces or fragile items that keep people from feeling comfortable coming in. At Junk Salvation 2013, I created a center focal point but also easy access for people to enter or exit from either side. There are times where I need to step out of my booth so that I'm not in the way of customers looking at my items, or making them feel weirded out like I am burning holes in the back of their head. If you have non kid friendly items, don't put them at kid level. Parents are often distracted while they shop, and it's up to you to keep breakable or items you need out of harms way. Bring in some flowers or greenery to your space. It really helps your space look fresh and alive. Tuck it into mason jars or items already priced to sell. Always have a tool kit on hand! I have my box that I bring with me to my booth whenever I go, but it gets stocked a little differently when I do a market. And for set up, we always have a regular tool bucket as well. One of the best things I ever did was to purchase some cute stickers with my logo and website printed on them. My graphic designer, Red Pearl Designs, made these for me and they were very reasonable. I also use these for my Etsy packaging. The first year I had my stickers, I put them on all my market bags. I buy the large bags from a local packaging / box store, and my smaller bags I buy at the Dollar Tree. The smaller ones are actually less expensive to buy through Dollar Tree than my packaging store. I attach a sticker to the side of each one, and it is great advertising for me. At that first show where I used them, I had several customers come to my booth because they saw other people walking around with my bags! 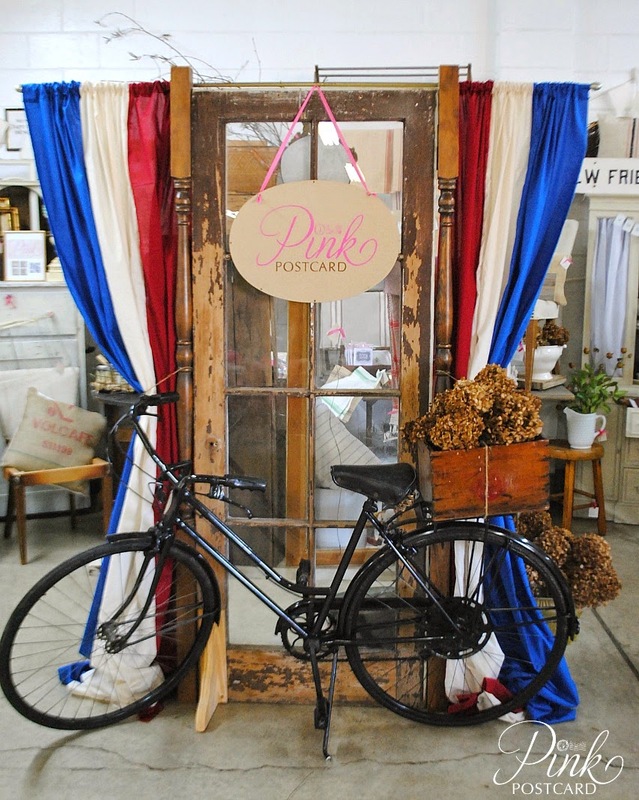 "We had to come check out your booth because we kept seeing all these bags walking around that said Pink Postcard"! Yes, you can use recycled grocery bags, and that's great, but I don't want Safeway or Walmart to be advertised, I want me to be advertised! It also sends an image to your customers that you have a quality product, and what they are buying is valued. Anybody can buy produce, but can they buy from YOU? Pop in a business card or postcard and your customers have a way to stay in contact with you. 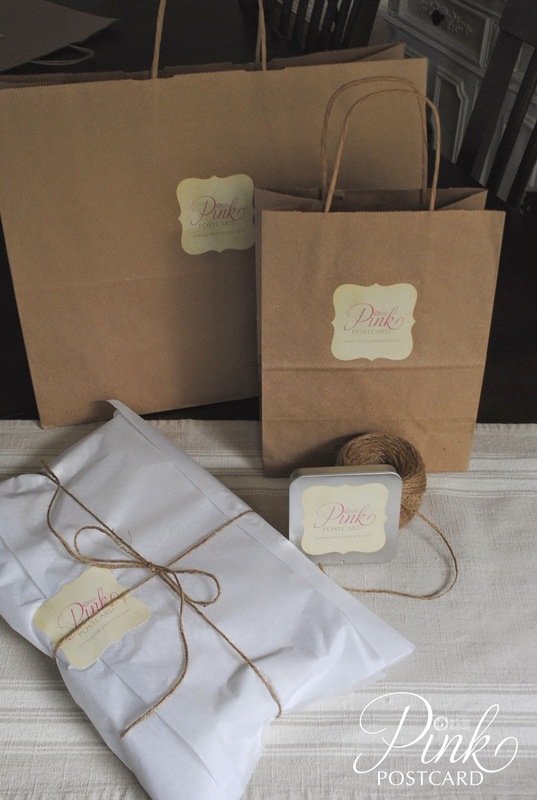 Have some tissue or paper to wrap fragile items in and you are good to go. You want to make some, right? If you are a manning your own booth, make sure you are prepared. Have a variety of change on hand. Get your cash box squared away at least the day before, maybe the week of. Don't plan on it the day of the show. Make sure people know who to make the check to- if it's in your name or your business name. I always have a little sign out so people don't have to ask or how to spell my name. The majority of your sales will be cash or card. 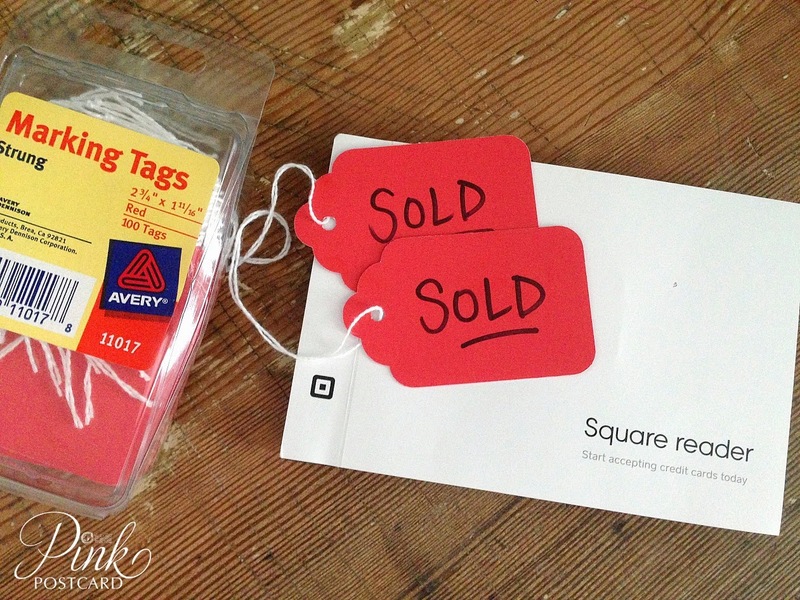 It is SO worth it to have a Square or credit swiper. It can make the difference between someone thinking about an item or buying it. Bigger items like furniture tend to be bought with cards, and sometimes people have gone through all their cash by the time they reach you. Make sure your phone or iPad is fully charged the day of the market so you aren't scrambling to find an electrical outlet. I always power off my phone and then turn it back on before customers arrive. It seems to help with refreshing the system and not having glitches with the Square. With all that we do with our phones these days, you would be surprised how quickly your battery can go during a market. Sharing your booth photos on Instagram, text messages, even your handy Square will zap it pretty fast! Be prepared with a phone charger! One of the best things about doing a vintage market is that I get to meet the people who love my product, the people who read my blog, and meet new customers! Even though I've been doing vintage markets and writing my blog for awhile now, it's still a nice surprise when someone comes by and says, "I love your blog". Just being friendly and enthusiastic about what you love will draw people in. I'm not talking about chatting it up too much, but just smiling, greeting, and if you see that someone is particularly interested in something, give them a story behind the piece or a bit of history that you know about it. How you made it with unique pieces. Something that offers more than just an item with a price tag on it. Markets are a fantastic way to network with other vendors. I've made some great friends and met some really wonderful people doing shows. When I get a vendor list and see some of my buddies will also be there, it makes it that much more fun. Sometimes if you know well enough in advance, you can even ask the show host if you can be placed near your friends! I've learned so much from others - particularly as the day goes on and things inevitably slow down, or during set up and take down. People who own brick and mortar shops, friends who travel overseas to find and sell treasures, veterans who know their stuff. Be helpful and kind to your fellow vendors. 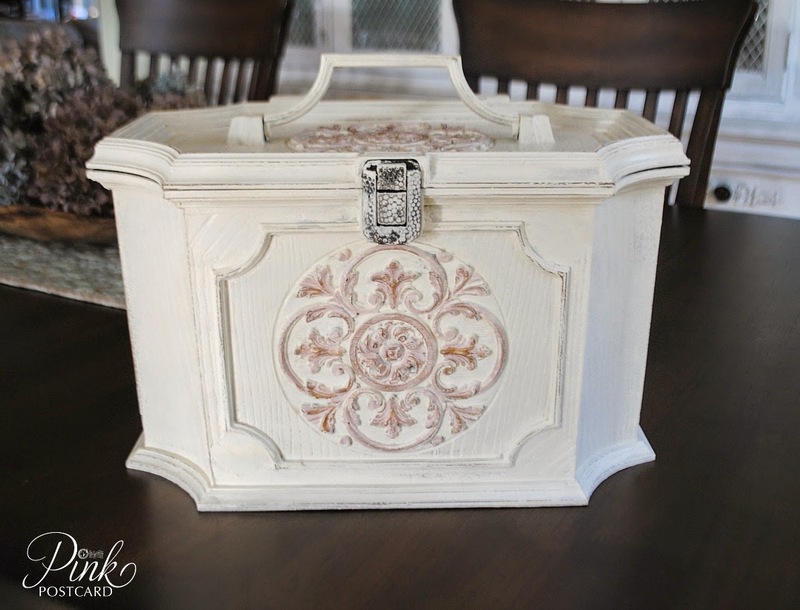 You can click here or on my link in my sidebar for Molly Mo's Antique Faire details. I'm off to finish up some last minute projects before it gets too hot! Really great post Denise~ hope you don't mind, I am going to share on my facebook page too :) I have done a few shows and you are so right about being in the right venue, because I did a local holiday bazaar once and although I did sell a few items, I felt like it was a total waste of my time. I did Plucky Maidens in Portland with a fellow artist who lives up there and while it was fun and very successful it was too far away. So decided to focus 100% on my web biz I seem to do better than shows. But until one tries you never know! This is such a great post! Thank you for sharing all this information. I am pinning it so I can use it for future reference. I think it would be so fun to have a booth someday! I hope you can too, Sandy! You and Janae should consider it!! Thanks Denise for all the great tips:) With the two shows coming up in October, I need all the help that I can get. It's been years since the last time I did a show, so I feel like a newbie. Hope you do great at this show, your booths always look outstanding. Thank you so much, Linda :) you are so sweet. 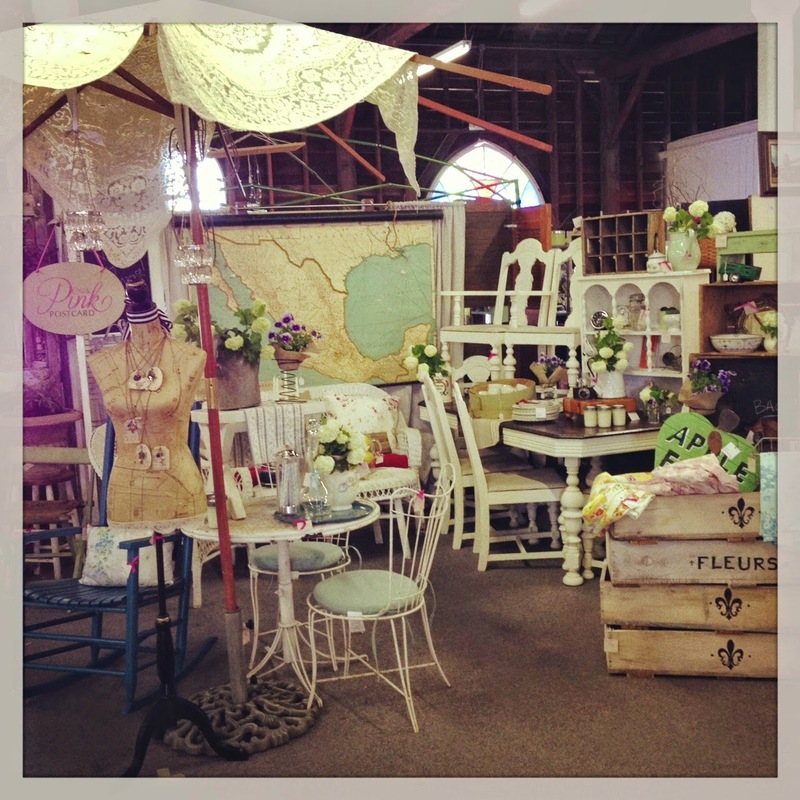 You are so fortunate to live in an area that has some amazing vintage markets with great exposure! You will have a blast!! can't wait to read about it! What a great post Denise! We've only done occasional sales at out little shop, but often think about doing a few vintage markets too. Maybe one day we'll give it a try! wow..Denise, this is so very generous of you...My niece did Marburger in Round Top, Texas last yr. and I can't help but think how much this would have helped her. You are amazing and sharing knowledge and experience is such a gift! Thank you! :) It was hard when I was starting out to know what to do or how to do it, so I'm happy to share! I enjoy it so much, and want other people to experience the fun with these shows! We will be at the City Farmhouse Pop Up Show in Franklin TN. Our first one so this information has been invaluable. Thanks so much. Wow! Lucky girl!! :) You will have so much fun and learn so much! Have a great time! Our antique mall is thinking of having a vintage market in the building next door. It is nice to see markets from the side of the seller. If you have time to point me to some suggestions for starting a vintage fair, I would appreciate it. Hi Donna! I haven't ever hosted a sale, but I hope to one day. I would reach out to people who you know have hosted before and pick their brain about some tips. I have some ideas from observation, but....you know ;) Can't say with experience. This is a great article packed with good advice. 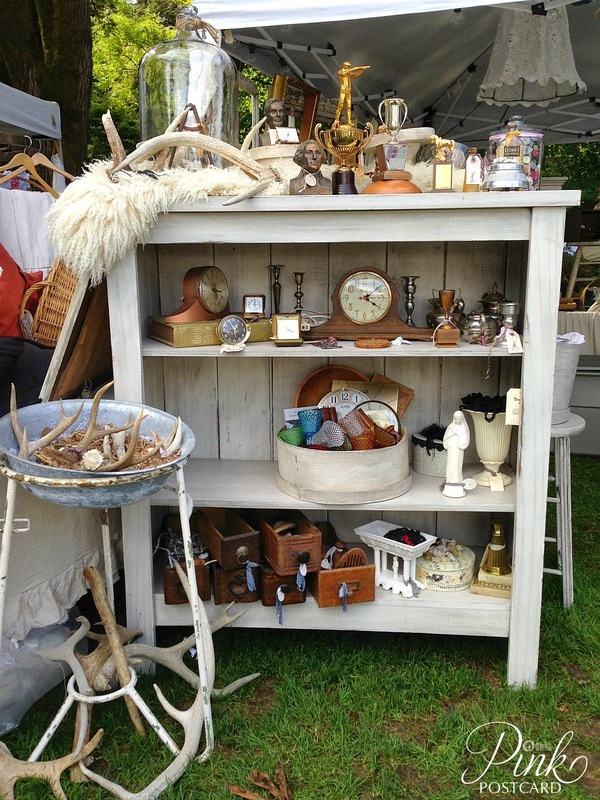 Do you know how to find vintage shows? I've not found any in my area -DFW. Thank you for writing this!!! I am do my first at St.Louis Vintage Market Place in 22 days. Doing my first weekend market this May, thanks for all the helpful tips!